In my Reality SEO series I interview REAL LIFE HUMANS for who’ve transformed their businesses with simple digital marketing and SEO techniques. 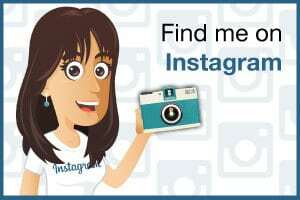 Kate Merryweather is a freelance website and SEO copywriter based in Melbourne. 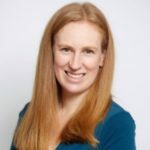 With six years of experience working with startups, leading brands and SMEs, Kate delivers succinct, readable SEO optimised writing for her clients. Before becoming a freelance copywriter Kate spent fifteen years working in PR and corporate communications for leading agencies in Melbourne and London. Kate Toon: Hello. 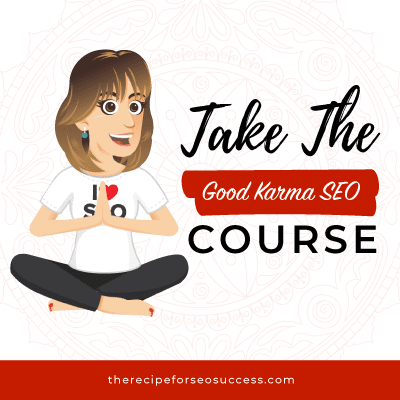 My name’s Kate Toon, and I’m the head chef here at The Recipe for SEO Success, an online learning hub for all things search engine optimization. And this is episode three in our Reality SEO Series, where I talk to real-life business humans about changes they’ve made in their digital marketing, their SEO strategy, their social media, that has had a big impact on their brand, their business, and the amount of conversions they’re getting. Today, I’m super delighted to be talking to be talking to the wonderful Kate Merryweather Hello, Kate. Kate Toon: The very best types of humans. Kate Toon: Tell us a little bit about you, your business, what you do, and who you do it for. 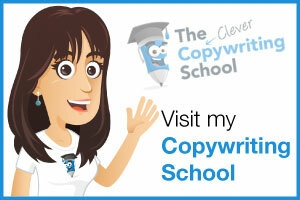 Kate Merryweather: I’m a copywriter. I’ve been copywriting for six years. Before then I was working in PR and marketing and I just started writing content for friends and kept getting referrals and here I am six years later still going. And I just love it because I really enjoy helping my clients get better content on their websites in particular. And also just helping them grow their business and giving them that guidance that they might need on content marketing and publicity and all those sorts of things. I really enjoy it and it’s great, balancing with my kids. Kate Merryweather: Perfect lifestyle when you’ve got children to be freelancing. Kate Toon: It is. Get a bit of, use that brain and then you’re able to stop and do some stuff with the kids and then come back again. Yeah, I love it, too. I loved it for a very long time. I actually miss copywriting a bit these days, but anyway, let’s go back a few years. When I was not a copywriter a few years ago. Let’s go back a few years and talk about where you were a couple of years ago when it came to your business and SEO and digital marketing. Where were you at? Kate Merryweather: Well, I knew that I had to have a strong understanding of SEO because of the industry that I was in, but I really didn’t. I came from a very strong writing background and I really had no idea about digital marketing. And I knew that it was important for me to learn and I was really overwhelmed. I didn’t nod … I’d see phrases like robots text, [inaudible 00:02:17] redirect, and I just think, oh, I don’t know what they mean, I don’t want to know. Kate Merryweather: I still don’t want to know to be honest, but you have to know. It’s one of those things you have to understand if you want to be successful in it. So I’ve taken the time to do your courses and learn as much as I can to not only help my own business, but that I can speak with confidence with my clients and know what I’m talking about. I’m not necessarily offering SEO services, but I do need to have an understanding of SEO to write good SEO content for my clients. Kate Toon: Yeah. So something that came up on an episode with Donna about how some people say, hey, look, I can write your website copy, but I don’t do SEO. I don’t do keywords. I don’t do any of that, and it’s like, well, you can’t really write my website copy, can you? Because the two things are intrinsically linked, and furthermore, how do those copywriters you fully get how to write SEO copy, but they don’t understand any of the other elements. SEO copy is just the piece of the pie, right? Kate Toon: You have understand the whole pie to do your piece. Do you think? Kate Merryweather: Absolutely. And you can write great content, but if there’s something structurally wrong with a website, it doesn’t matter what I’m writing for a client or myself, so it’s important to at least help clients potentially what those issues that might be stopping them from ranking. And if it’s something structural, it could be a quick fix that I could do that could really massively improve their rankings. Or it could be something fairly damaging if they’ve got dodgy back links or something. But for me to able to have a quick look and give them that advice is really helpful. Kate Toon: Yeah. 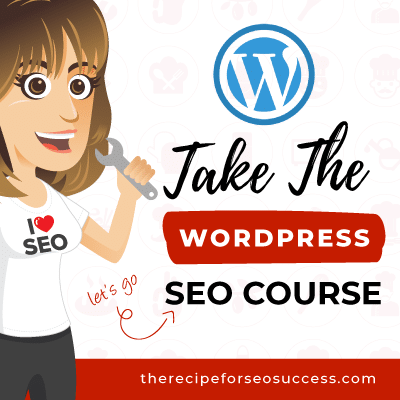 It’s a real value add, and I think although you might not necessarily want to offer SEO auditing as a service, being able to just give somebody those few little tips could actually transform their business. 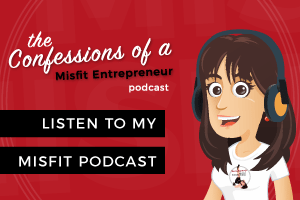 And this is a beautiful segue into the transformations you’ve made in your business, because we were talking before the show about what was the biggest change for you, and you mentioned site speed. You mentioned that previously your site took about 13 seconds to load did you say? Kate Merryweather: It was 13 seconds, so it was super slow. I’ve been blogging fairly regularly on and off. I’ve been at it six year and just knowing pictures of my kids, 6 meg files, oh my, this looks great. It’s awesome. Had no clue that all those nasty thingamajigs were slowing down my site, so recently I’ve been working on improving that site speed and that made a great difference to my results. My speed was about 13, now it’s about three. Kate Merryweather: That’s right. And I ditched some … I had fifth thousand plug-ins, I think, when it started. I found some website that said, these are the plug-ins, and I’d literally gone through and installed each and every one of them without thinking whether that was good for my queue to have so many and I just went through and deleted all these unnecessary plug-ins. Kate Toon: Yeah. 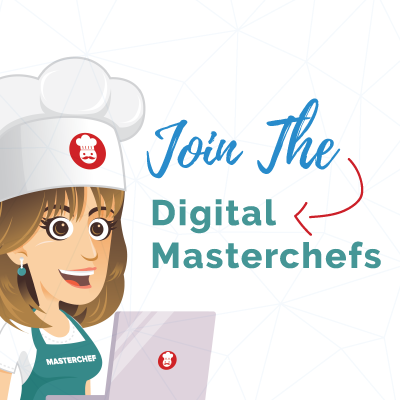 We did a fun thing in the Digital Master Chef’s community where we did a plug-in audit. It was like a sort of, let’s review everyone’s plug-ins and kill all the ones that we don’t . . . and people were like, I didn’t even know what this one does. Can we switch it off? And we switch it off and we backed up first, always back up first, and realised that it wasn’t doing anything, but it was taking two seconds to load all the file. So it’s so interesting to work on that. 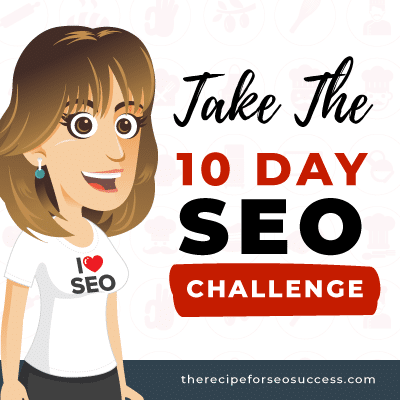 Kate Toon: And for you, now that your site is leaner and speedier, have you noticed a difference in how it’s ranking and how your traffic is going? 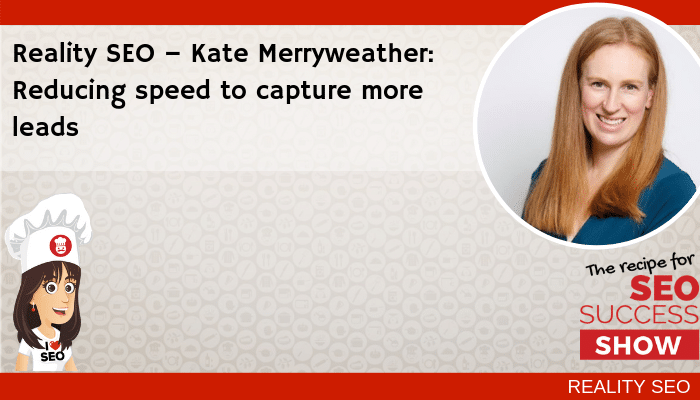 Kate Merryweather: Yeah, so, I was … I redesigned my site and I’ve got a designer to do a beautiful new site, and I suffered a bit in the ranking when that site relaunched and I’ve crawled my way back up to sometimes page one, sometimes page two, for various keywords. Which I’m quite happy with for now because I’m pretty busy in my business, so I don’t need to go too much higher, but I would for ego reasons. I’d like to be a bit higher. Kate Merryweather: But I’ve definitely noticed the phone ringing more often which did not happen at all a while ago. I just never got cold calls. I just got word of mouth referrals that … just yesterday I got a call from a potential client who googled me, so I do notice those calls coming in. Which means, it’s working. Kate Toon: Yeah. It’s nice to have that proof because I always say on the calls, we do measurement, obviously, we talk about ranking and time on site and bounce rate and all that kind of stuff, but the true measure of any digital marketing success is that phone call and also that conversion. And the money in your bank account. So, I always love it when people in the group go, I got my first ever inquiry from someone I don’t know. It’s like a real ah-ha moment, isn’t it? It’s really satisfying. Kate Merryweather: Yes. I just got booked for a job for a pet photographer in Mackay and I’m a copywriter in Melbourne, so I don’t know why there’s no one in Mackay that can’t help her, but that’ doesn’t matter. But I’m excited to be working with her soon. And she just googled me and she liked the look of my website. So that was really lovely. Kate Toon: Yeah. It’s simple, isn’t it? It doesn’t have to be complex. Just easy to find, quickly loading website that ticks a few boxes and then Bob’s your uncle as they say. So, Kate, what we like to do … I say, what we like to do. There’s only me. What I like to do at the end of this reality show is to give the listeners just one tip. 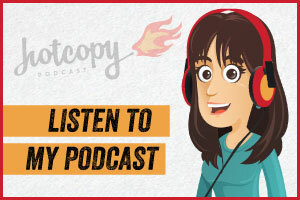 Not a huge big abstract strategy, but one thing they could do after listening to this podcast to improve their SEO or their digital marketing, what would you say? 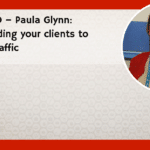 Kate Merryweather: I would say use a tool like Pingdom, which measures your site’s speed because as I said, I was at 13 seconds and that’s how I knew. I went onto Pingdom and thought, crikey, 13. And then I literally tells you what is wrong with your site that you need to fix and I had some huge images in there and then I had a few other technical issues that I needed to outsource. But that is the free tool that anyone can use to just see how fast their site is loading that they can do a quick check and there might be some issues that they can fix today that would make a huge difference. 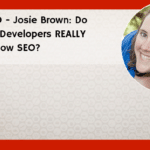 Kate Toon: And I would say that of all the trends, all the things that we can work on with SEO, I’d say speed is really up there as maybe one of the top three. With the move to the mobile first, indexing and with just simply so many search on their mobiles. Faster sites rank better. It is that simple. You know after McGoogle, it’s shades of grey, but I think when site speed, it’s black and white. If your site’s too slow, no one’s going to find it, it’s not going to load, it’s not going to rank well, and you’re not going to make any money. So, that’s a great tip, Kate. 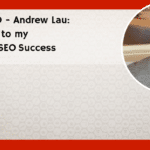 Kate Toon: I’d like to thank you ever so much for sparing the time to come on the Rescue SEO Success Show. Thank you very much. Kate Merryweather: Oh, it’s my pleasure. Lovely. Kate Toon: Well, and thanks to you for listening to the show. If you enjoyed it, please don’t forget to subscribe or leave a rating and review on iTunes, Stitcher or wherever you found this podcast. 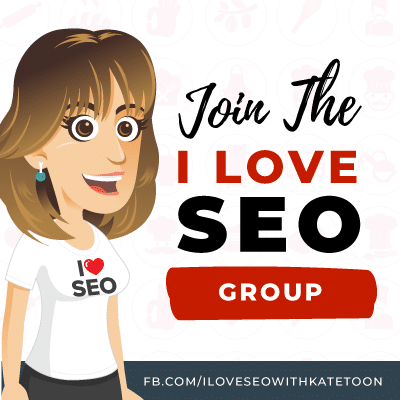 And if you would like more tips on how to improve your SEO and your digital marketing, please feel free to join my I Love SEO group on Facebook or sign up to my free SEO Nibbles course. Just google SEO Nibbles and you’ll find it. 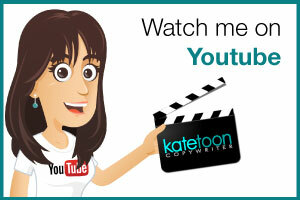 Kate Toon: I forgot my own URL there … to read the notes on the show and find out more about Kate or you can just google Kate because she’s doing rather well with her SEO and her super fast site. So thanks for listening. I’ll see you next time and happy SEO -ing.